DUBLIN AIRPORT HAS recorded the biggest number of passengers ever processed in a single year. Since the beginning of 2015 23.5 million passengers have passed through the airport, a figure expected to rise significantly during the run in to Christmas. The previous record was set during the tail end of the Celtic Tiger in 2008, when 23.46 million passengers took flights through the airport. The growth in figures has been attributed to the 23 new routes in operation – which have included the launching of five new long-haul services and 18 short-haul flights. So far this year there has been a 16% jump in the number of flyers. Next year the airport expects another increase in the number of people travelling through it, with 11 new services already announced. The new routes and extra capacity contributed to a very strong summer period, as more than 5.3 million passengers used Dublin Airport during July and August, which is our busiest time of the year. A big factor in the growth of passenger numbers has been the expansion of services by Aer Lingus, who have launched flights to Washington, Liverpool and Nantes this year. 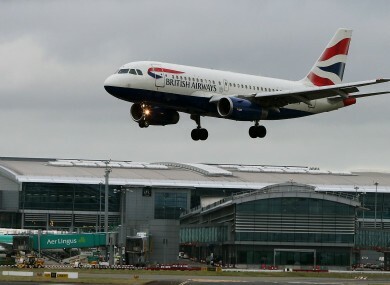 From next year the airline will be flying direct services to the US between Dublin and Los Angeles, Dublin and Newark, New Jersey, and Dublin and Hartford, Connecticut. Email “More people have flown through Dublin Airport this year than ever before ”. Feedback on “More people have flown through Dublin Airport this year than ever before ”.